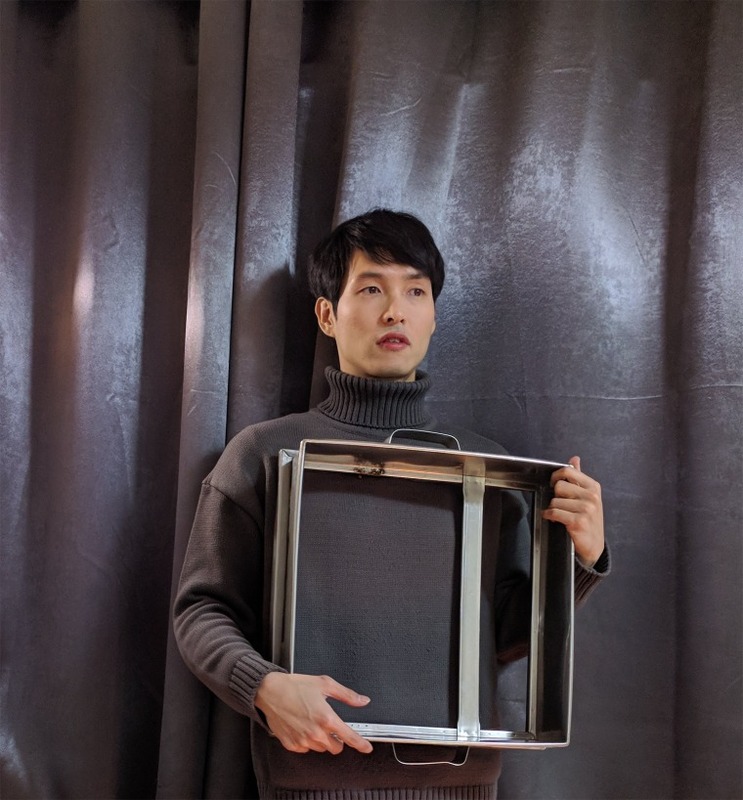 Today, The FADER is premiering South Korean electronic-pop artist Pal Hwang Dan's eccentric and disorienting debut album Saneopseonjib 산업선집, along with the music video for the track "Blue Light 파란등." Dan writes via email that the album draws from "industrial, hypnagogic pop and video game music," two influences that shine brightly through the record. Tracks like "Inside Forest Mathematics" and "Outside Forest Mathematics" reminded me of the Maple Story theme song and Pokémon dueling music. The other half is a clever and quite-dark mix of compositions. A song ominously titled "Pickles are not sold separately," is directly followed by the alarming "Screaming of sea cucumber." "Klimt's Butcher Shop" is a thumping, metallic rave song that makes me imagine Klimt, axe in hand, just going at his paintings. "Blue Light," the video of which we're also premiering today, is one of the few songs on the album that features Dan's wispy, digitized vocals. Resembling an '80s VHS exercise video, the track still manages to emanate an alluring darkness — like, somewhere, there is a disco apocalypse waiting for us. "[The album] conjures up a world of uneasy futurism," Dan writes of the album, "where despair lurks behind a shiny pop sensibility with dance-floor experiments." If that's what we're headed for, then sign me up. Listen to Saneopseonjib 산업선집 below, and watch the video for "Blue Light" above.